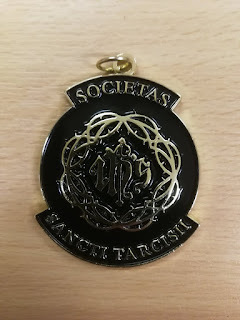 The medals of the Society of St Tarcisius have started to appear at celebrations of Mass, and outside the context of events organised specifically for server training. 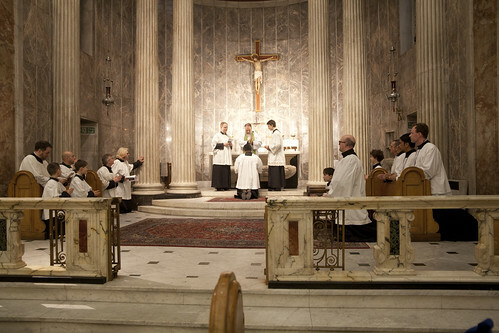 At the St Catherine's Trust Family Retreat, the final Mass was celebrated by a team of four members. 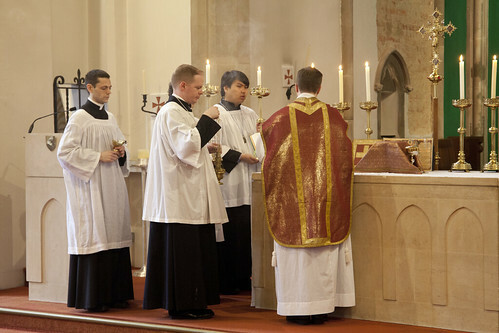 Members were also present in force at the Latin Mass Society's Pilgrimage to Caversham on the Ember Saturday of Lent. 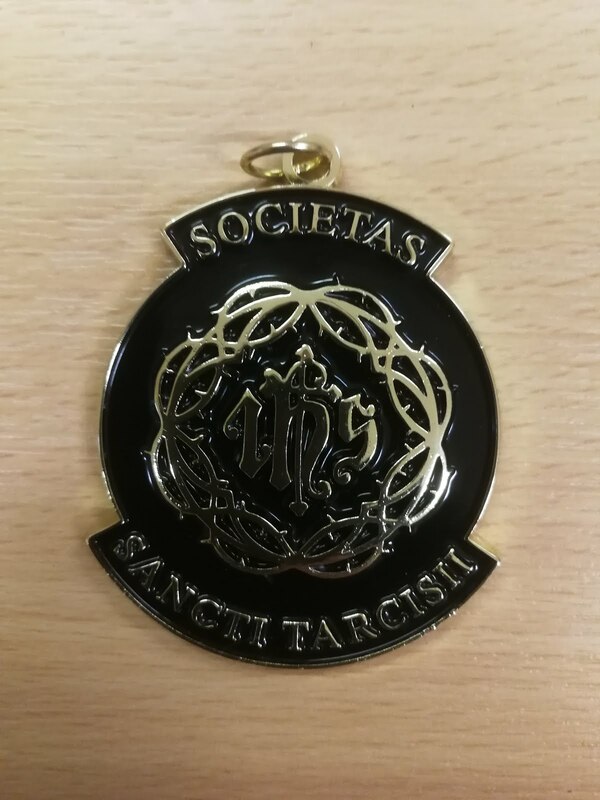 The Society of St Tarcisius held its second training event of the year in St Mary Moorfileds, London, on Saturday 9th March. 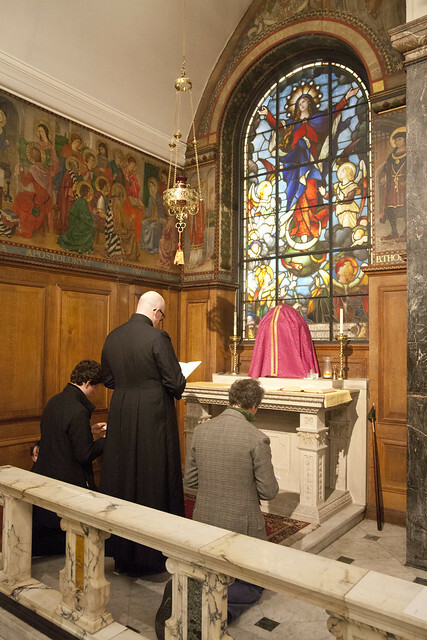 It was attended by 19 people, plus Fr Neil Brett of St Anne Line, South Woodford. 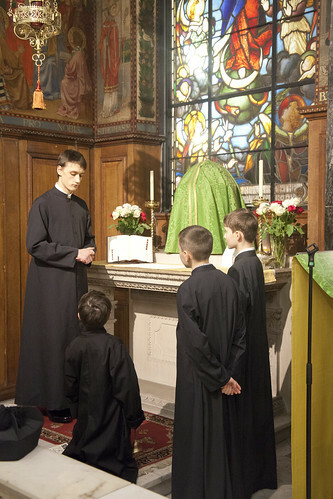 We enrolled four new members and received three new postulants. 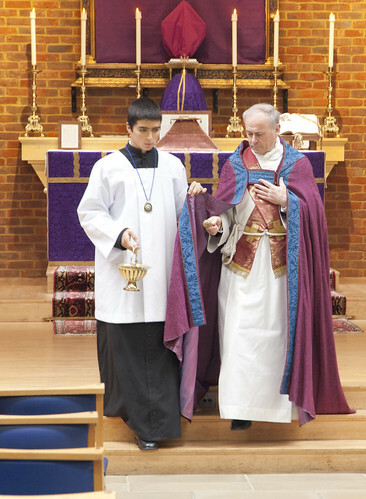 The next event will be in Our Lady of the Assumption, Warwick Street, on Saturday 11th May. 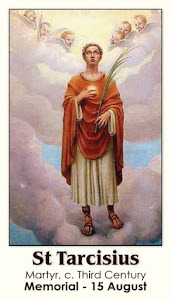 As with the others in this series, it will take place in conjunction with a sewing day of the Guild of St Clare. On Saturday 16th February the Society had its first Server Training Day, relaunching the Society for a new phase of activity. 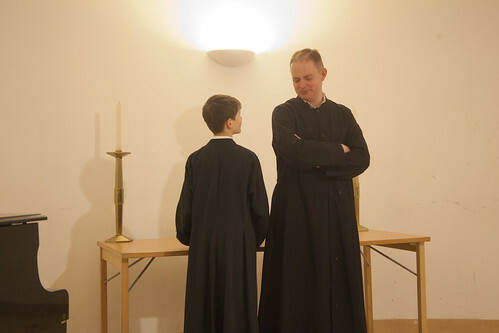 Fourteen people were enrolled at appropriate grades in the Society, and two more were registered as 'Postulants'. Because this was our first ever enrollment ceremony, even the instructors were enrolled, including one, Jonathan Hague, at the highest possible grade, Grand Master of Ceremonies. 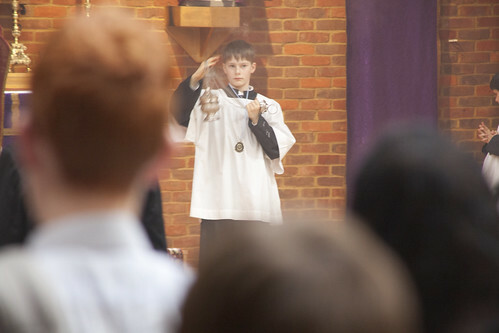 It was particularly useful to have an entire serving team, from South Woodford, together with their parish priest, Fr Neil Brett, who could go through the ceremonies of Sung Mass together. 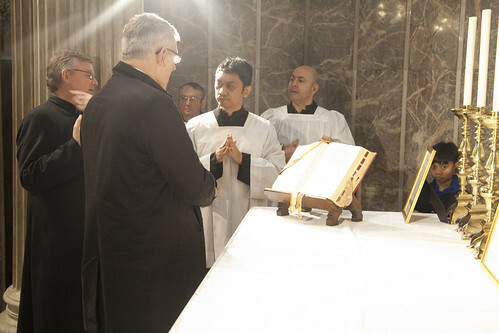 Fr Gabriel Diaz officiated at the enrollment ceremony in the afternoon. The next training day is Saturday 9th March, in the same venue: St Mary Moorfields, Eldon Street, in the City of London: EC2M 7LS. Please email tarcisius@lms.org.uk to book.